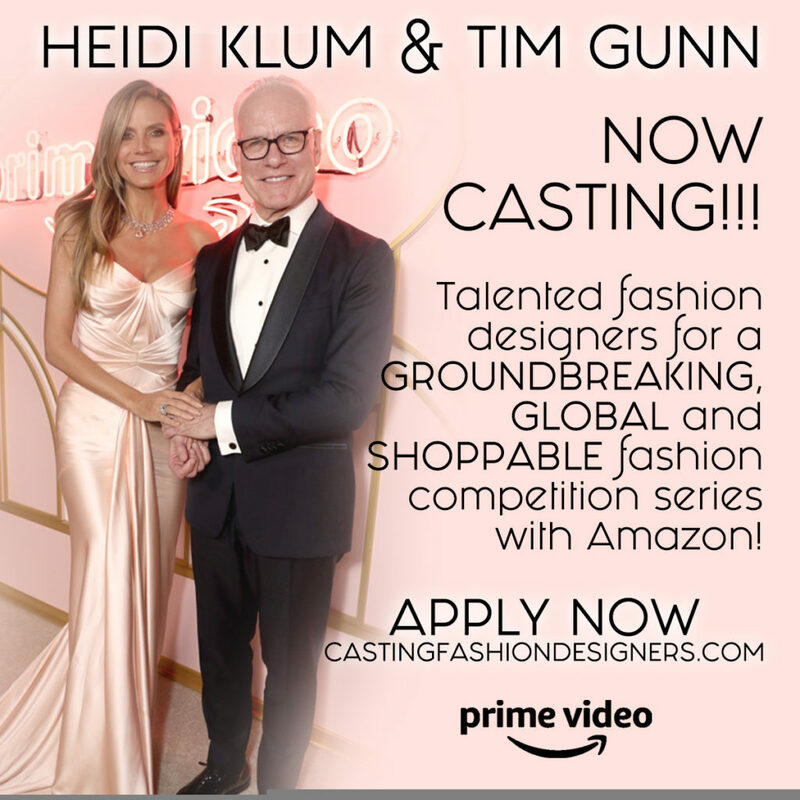 New Heidi Klum & Tim Gunn Fashion Competition Show for Amazon Prime Video is Seeking Innovative, Up-and-Coming Designers – Design Collective NY, Inc.
A groundbreaking new fashion competition show for Amazon Prime Video, to be hosted by none other than Heidi Klum & Tim Gunn, is currently looking for innovative, up-and-coming fashion designers, as well as established designers seeking to expand their brands to reach a broader, global audience. Amazon is putting its full force behind this project, not only offering designers incredible exposure, but a chance to shop their clothes to viewers around the world. Casting is looking for designers who have the branding, talent, and point of view, but who need this boost of exposure. The full application is online at castingfashiondesigners.com.